Qu: OUR AIM: To assist those companies and individuals who require professional services at a professional level. We provide a service without any misconceptions that is effective and which allows clients and companies to conduct business or help in Thailand. We also assist foreigners in an effort to increase Tourism & Marketing in Thailand & Asia & provide the necessary services to this end for foreign businesses and the expat community whether it be divorces, title searches or consultations. Qu: WHY USE OUR SERVICES Because we offer professional help to a professional standard. Our site is simple & to the point with all costs and fees posted. We assist exporters/ importers & servicing companies & individuals wishing to conduct business or relationships in Thailand. As we only use registered Thailand Lawyers (Barristers) we have the expertise to cover every field of Law within the bounds of Thai law whether it be local or International and Corporate services. Qu: ADVERTISING We provide an effective marketing platform & service help for companies and their products. We try to keep costs to a minimum. We have no hidden costs. Qu: PAYMENTS People are very concerned regarding paying for services that the other party may have access to their accounts at will. We will however have e-commerce but we feel it is important that our customers Trust us and that they will receive the high service they expect from us in return for what they are paying for. Details of our account will be sent to you and all payments made via TT remittances including 7% VAT tax receipt. We cannot process credit card transactions at this time unless in Thailand. Qu: COSTS Costs for setting up a company we need to know exactly what you want to do in Thailand as many businesses require licenses and or permits to conduct work. We can quote once we know this so our costs are a guide line only. Qu: COMPANY SETUPCosts for setting up a company vary but you do need 7 principals in a Thai formed Ltd company in Thailand. If exporting a foreigner can hold 100% shares but please go to the section on company formation. Qu: LITIGATIONIt is very important that you send us all information regarding a litigation or monies owed before we can ascertain whether you will have a feasible case or not. We do not charge for this initially until we analyse each case and the facts that are produced to us. TERMS AND CONDITIONS 1/. Please note our costs can change as all Legal cases are different but we will quote you.2/. All correspondence will not be passed over to 3rd parties. 3/. Prices quoted do not include government fees so please ask us. Changes may occur due to differing Nationalities requirements, client requests, law changes, inclusion of licenses for ones business, baht fluctuations & when translating documents into various languages. Please also remember that a lot of our charges may change & the fees are purely a guideline. We have tried to outline our basic costs and these may change according to the law & fee updates which are beyond our control. Some costs include licenses eg. licenses combined - food, cigs, liquour etc will be based a cheaper rate. Please remember Bangkok rates are dearer.4/. All fees----- we do not include travelling time and or daily costs which are an added extra if our lawyers have to travel & or appear in Courts in other Centres. However we will endeavour to tell you before hand these extra charges. 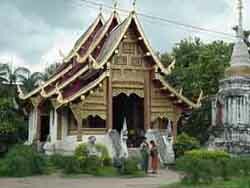 Costs in Bangkok are higher than ChiangMai but please ask us. COPYRIGHT: No parts or parts of this website may be copied, printed or circulated for publication in any form or part of without the express written permission . Please also note all infringements will be an infringement on the Copyrights of this website and we will act according to Thai law to protect our service.